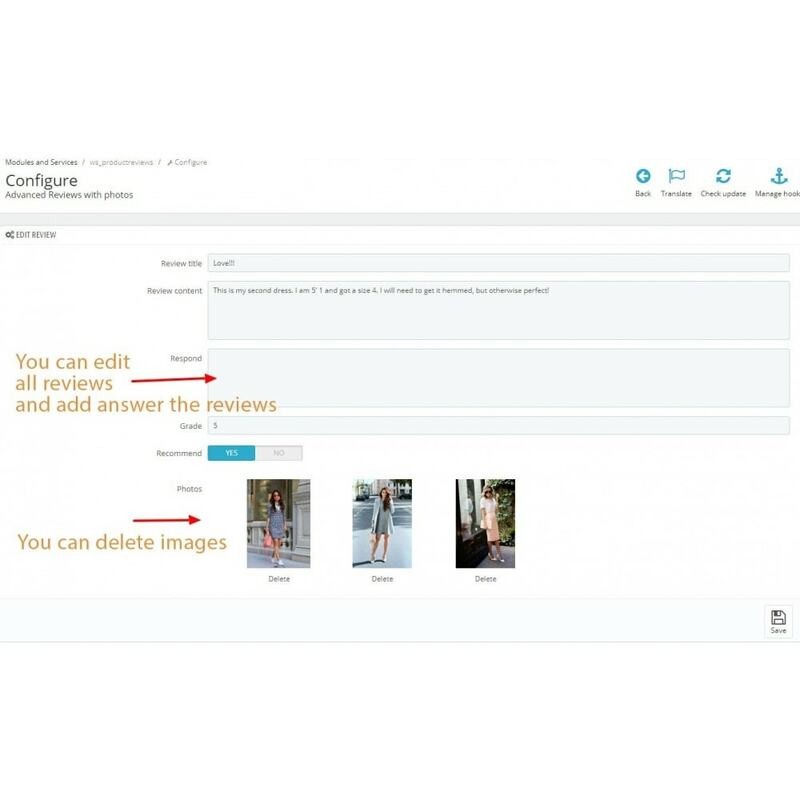 The module allows your customers to leave ratings and reviews with photos on products. 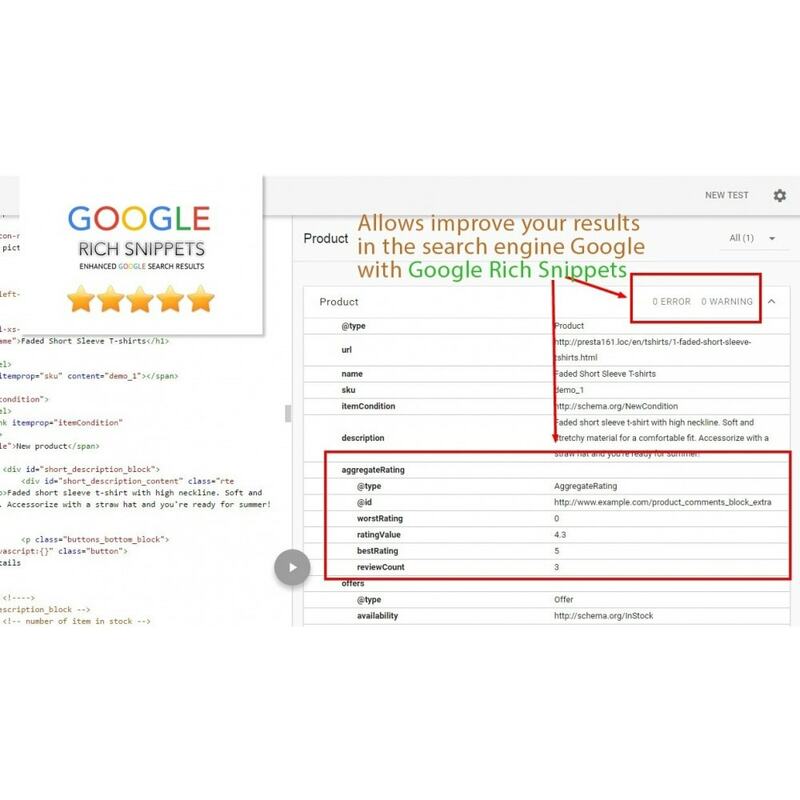 Allows improve your results in the search engine Google with Google Rich Snippets. 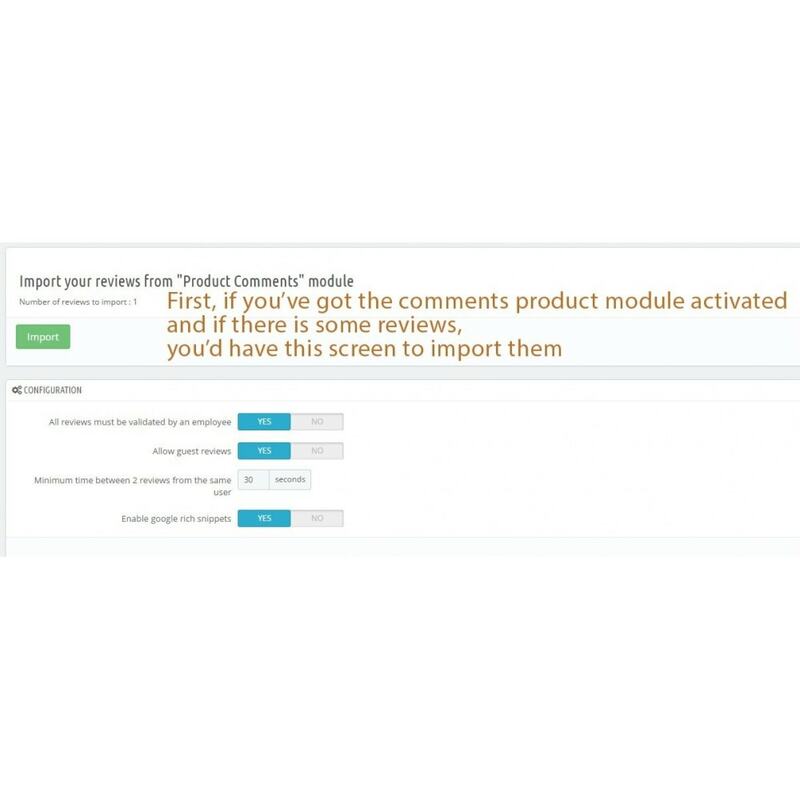 Get more customers with new Product Reviews module! 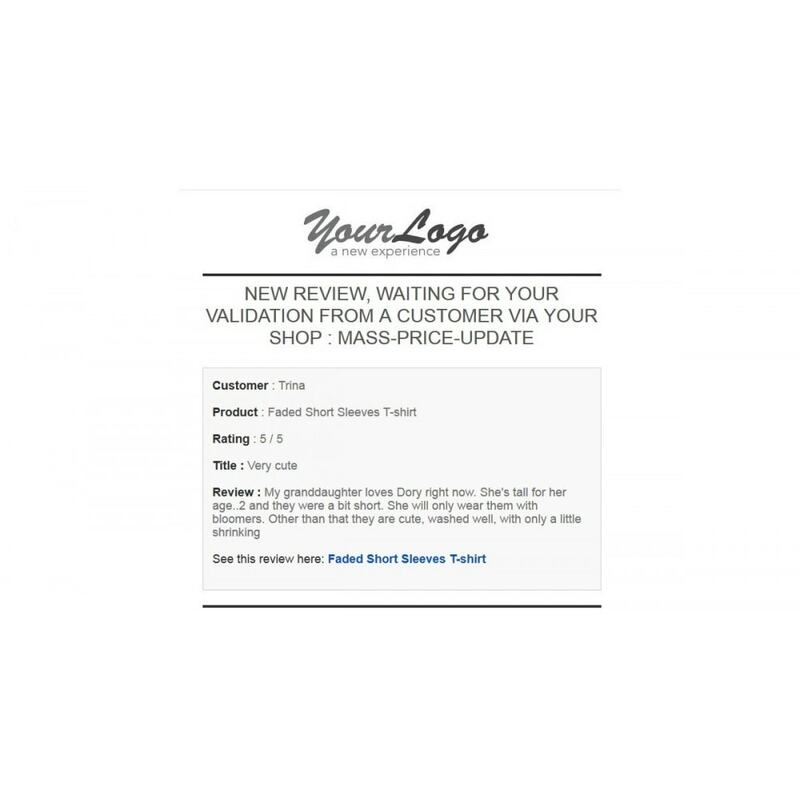 Reviews act as social proof to your potential customers to give more assurance that the product is for them. 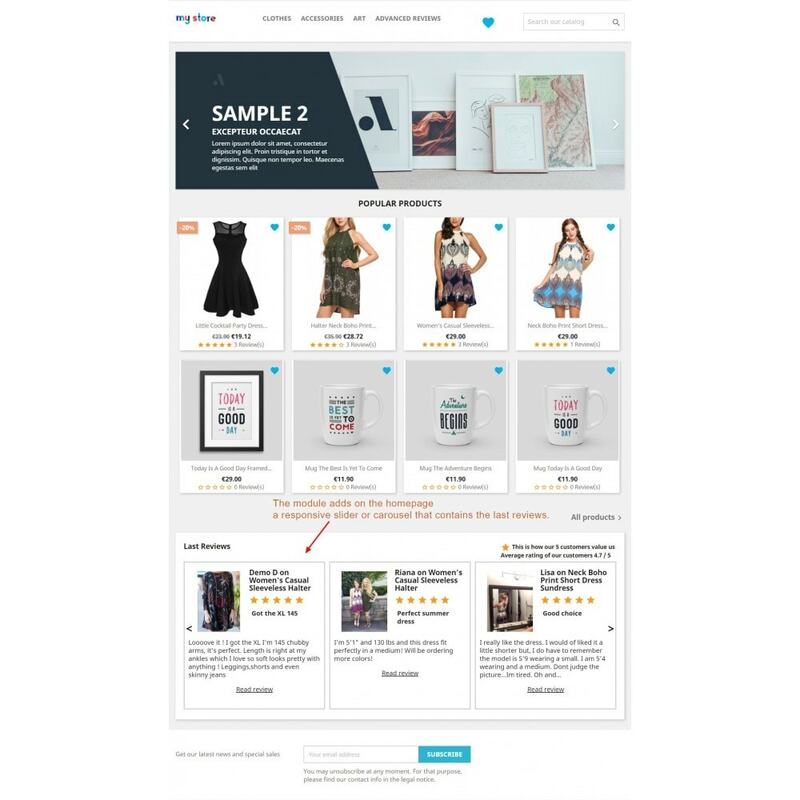 The module allows you enhance the credibility of the store. Google Rich Snippets allows you attract customers' attention in the search result. 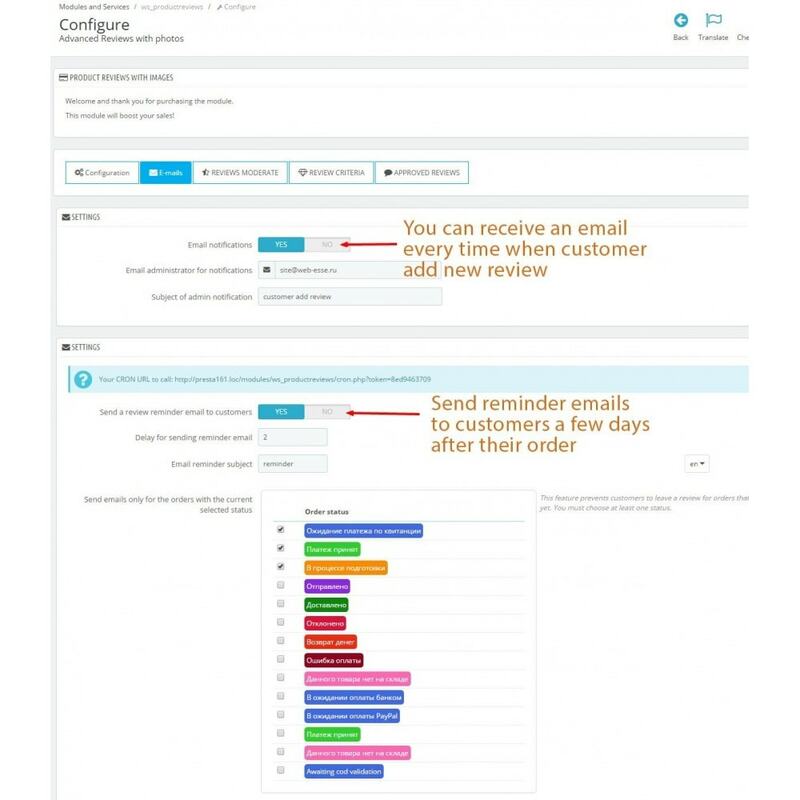 You can add answer to reviews (optional). You can enable the field "Recommended" - The customer can recommend the product or not. 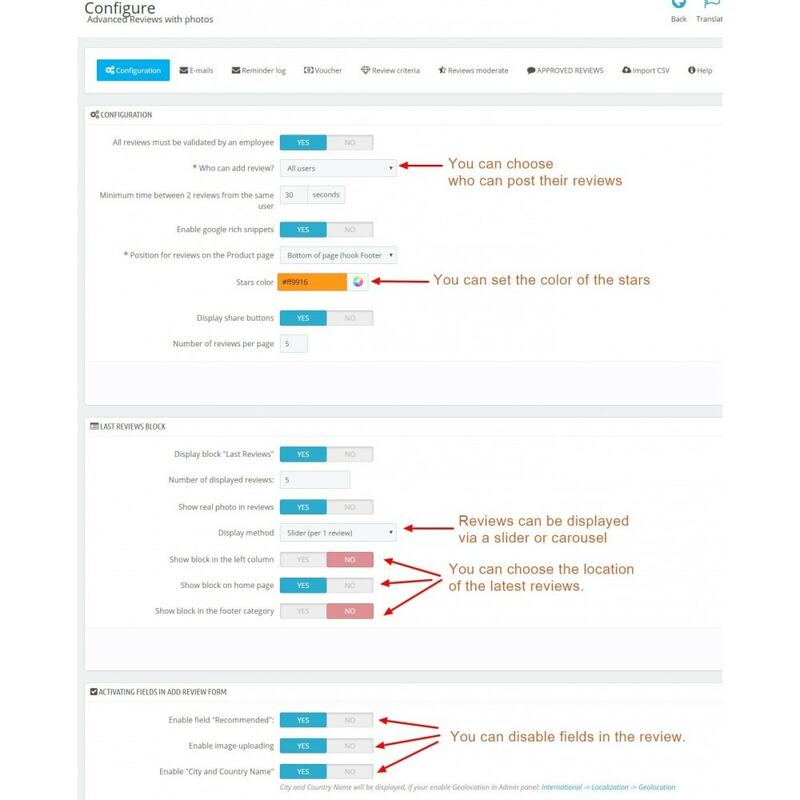 You can enable the field "City and Country Name"
The module displays the average rating and the number of reviews per product product in categories. 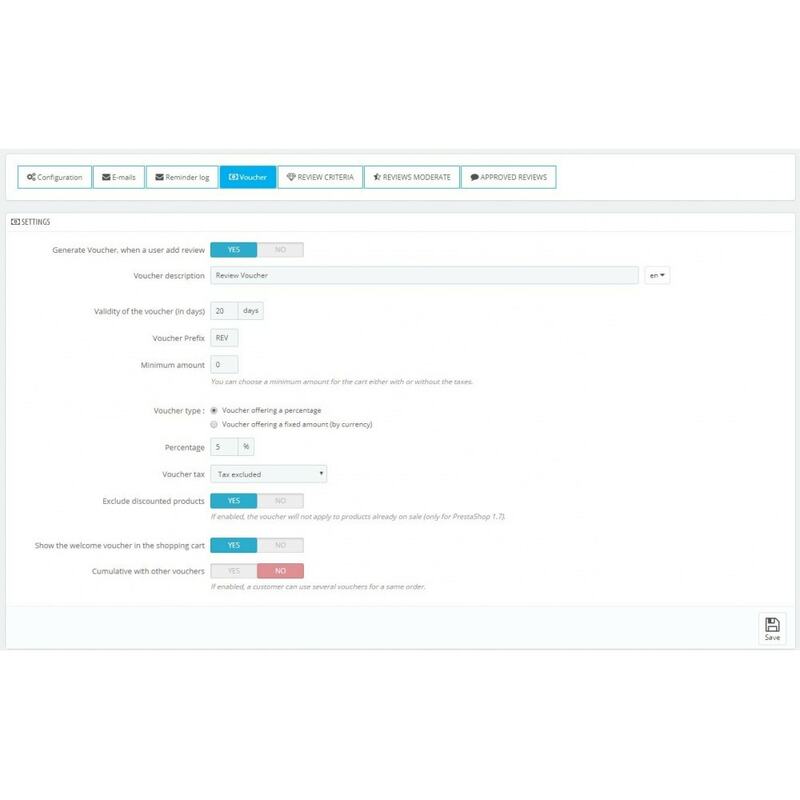 On the home page and columns - The module adds on the homepage a responsive slider or carousel that contains the last reviews. 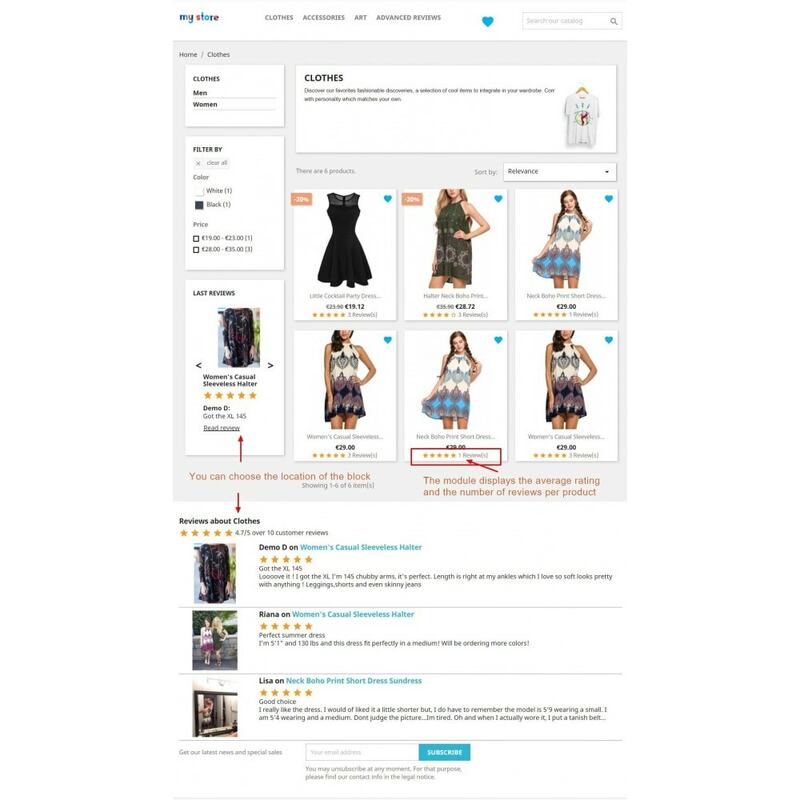 In the footer of the category – Only reviews for products in this category are displayed. 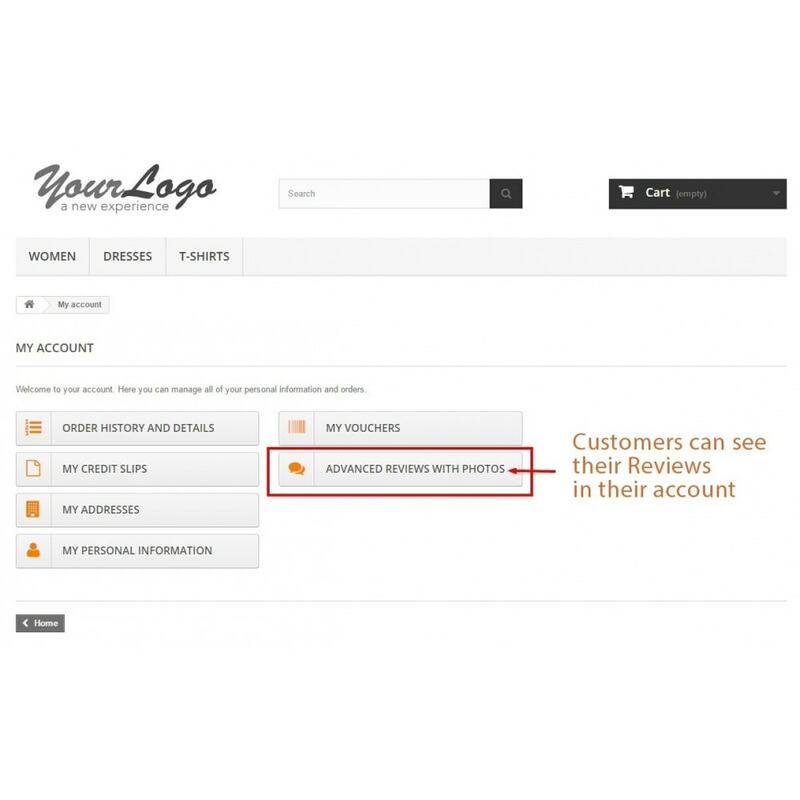 Encourage your customers to leave reviews, give them a discount for their reviews! Everyone like coupon codes! The reviews of products can have a big impact. If you do have reviews on your site it’s really essential to add in rich snippets which will tell Google about the reviews so they can be visible in search results. 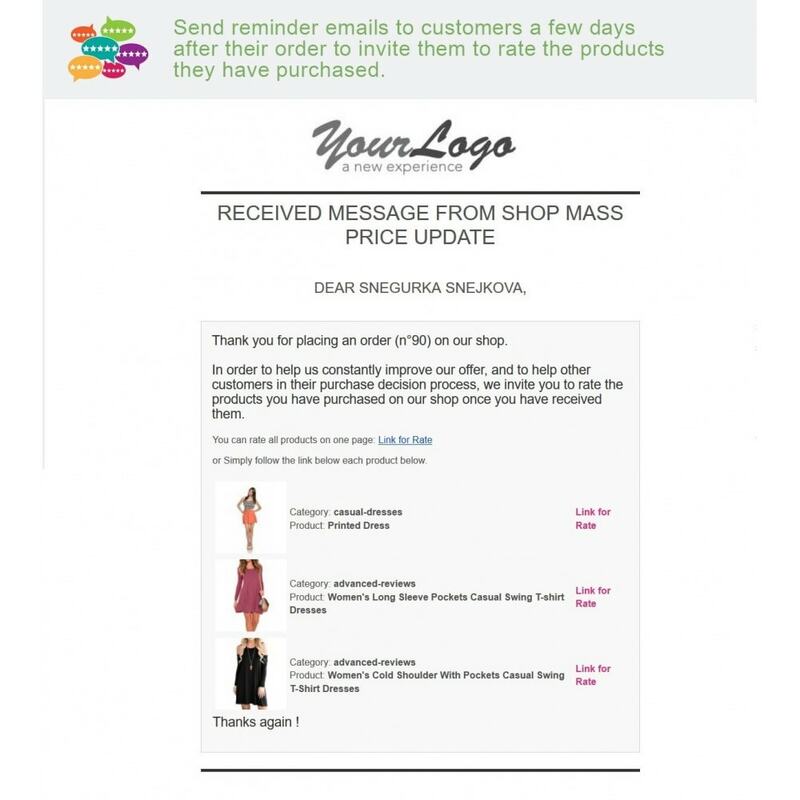 Send reminder emails to customers a few days after their order to invite them to rate the products they have purchased. 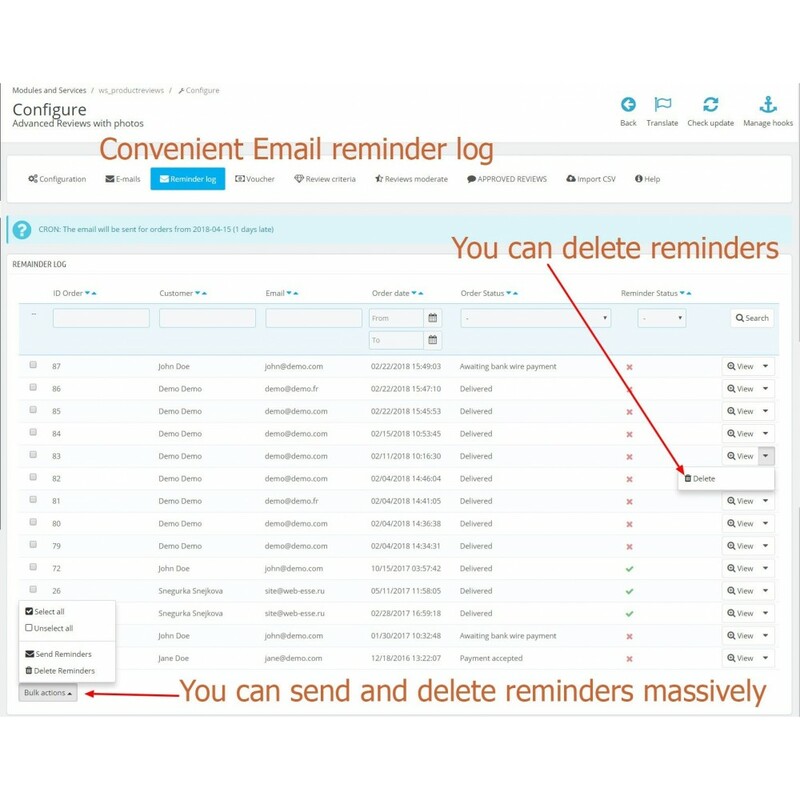 The reminder can be sent manually or automatically (via CRON). 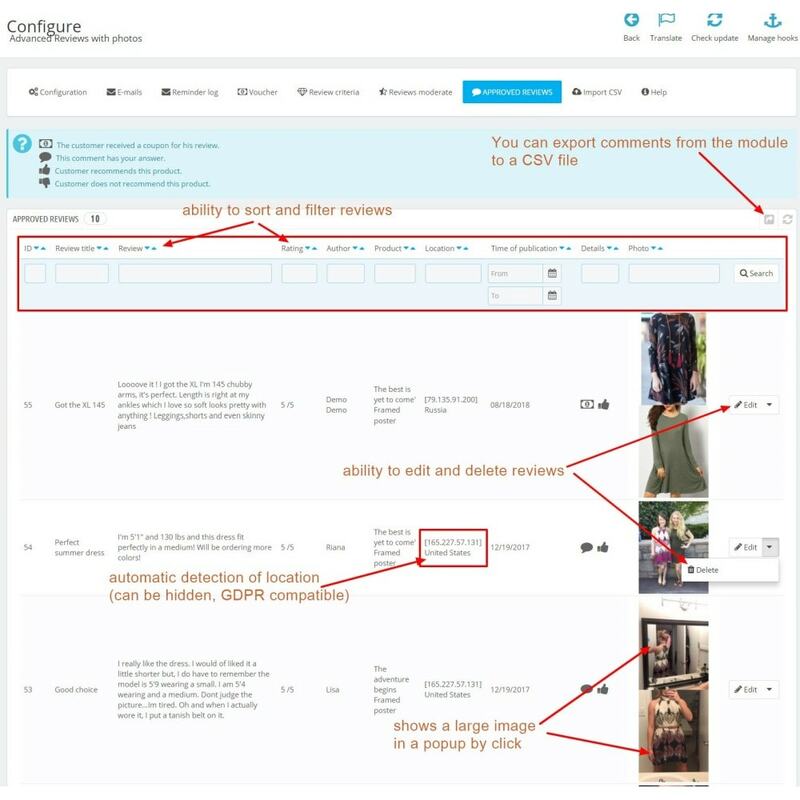 You can import your old reviews from "Product Comments" module or CSV file - so as not to lose any of your history. Once you start generating images with our WebP Generator module for PrestaShop, you will notice great improvements regarding the speed of your site and your images will keep their quality. Amazing support from the developer. Highly recommended! Elegant design Nice coded! Great support ever!